DJ Andy Smith has spent much of the last three decades DJ-ing in clubs at home and abroad where his eclectic sets can feature anything from boogie and disco to funk and hip hop, right through to Motown, Northern Soul and even on occasions, AC/DC. Audiences never know what to expect when DJ Andy Smith steps behind the wheels of steel and digs deep into his trusty record box. They do know that the next couple of hours are going to be a musical roller coaster, with surprises a plenty in store for dancers. It’s a similar case with the various compilations that DJ Andy Smith has compiled over the last three decades. Just like many within the DJ-ing fraternity, DJ Andy Smith is a self-confessed and unapologetic crate-digger, who dares to go where others fear to tread. Backstreet record shops, dusty basements and warehouses and thrift stores. That is the natural habitat and has led to DJ Andy Smith collaborating with Portishead and becoming their international tour DJ. He’s also provided samples for the Prodigy, and spent the best part of twenty years releasing mix albums and compiling compilations. The first mix album that DJ Andy Smith released was The Document in 1998, which showcased a truly talented and creative DJ. After that, DJ Andy Smith released two further instalments in The Document series, and later, released mixes of Northern Soul and reggae. DJ Andy Smith was also asked to compile funk and reggae compilations which was the perfect excuse to embark upon a crate-digging expedition, where he went looking for new music. By then, DJ Andy Smith was one of Britain’s best DJs, and was spending much of his time DJ-ing, across Britain, Europe and as far away as Australia. Part of his success was down to his mixing skills, which set him apart from the majority of DJs. However, what made DJ Andy Smith stand out from the crowd was the music he played. He had the patience and ability to unearth hidden gems and long-lost musical treasure during his regular crate-digging expeditions. Some of the hidden gems and musical treasures find their way into DJ Andy Smith’s DJ sets or onto the various compilations that DJ Andy Smith has compiled over the last three decades. This included his forthcoming compilation DJ Andy Smith Presents Reach Up Disco Wonderland, which will be released by BBE as a two CD set or three LP set on the ‘17th’ of November 2017. It’s guaranteed to get any festive party started. Disc one allows DJ Andy Smith to showcases his DJ-ing skills as he spins a carefully chosen set that features fifteen slices of disco and boogie. Opening his set is World Premiere’s Shake The Night (Intro) which announces the arrival of the DJ’s DJ, and after just over a minute, DJ Andy Smith seamlessly mixes into Cloud One’s Patty Duke. This is the case throughout the sixty-two minute mix on disc one. DJ Andy Smith’s mixing is seamless and unhurried, as he puts over three decades of experience to good use. Gradually, the tempo builds as each of the tracks play their part in this seamless mix. This ranges from Tamiko Jones’ Let It Flow to Don Laka’s I Wanna Be Myself and the Disco Dub Band’s For The Love Of Money. It gives way to Joanne Wilson’s Got To Have You, and then Jimmy Young’s Time Is Tight. 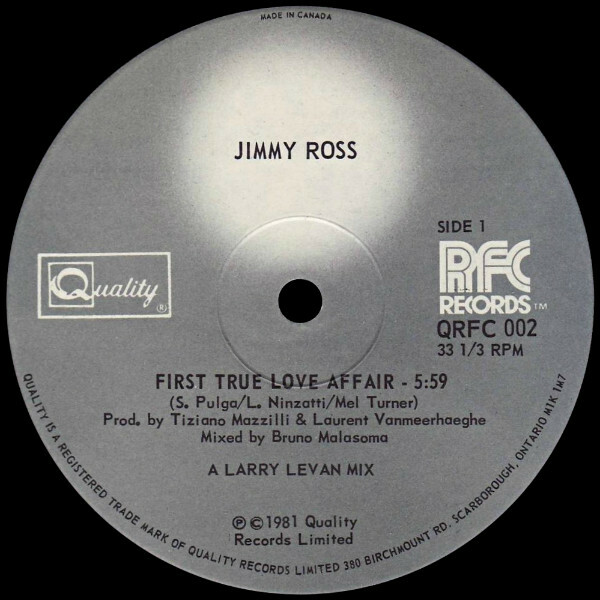 Sadly, that proves to be the case as Jimmy Ross’ First True Love Affair is the penultimate track in DJ Andy Smith’s mix. He’s saved one of his hidden gems for last, and that’s T-Connection’s B-Side Groove To Get Down, an anthemic, dancefloor filler closes disc one of DJ Andy Smith Presents Reach Up Disco Wonderland. Whereas the mix on disc one had fifteen tracks, there’s only thirteen full-length tracks on disc two of DJ Andy Smith Presents Reach Up Disco Wonderland. The two tracks that miss out are World Premiere’s Shake The Night (Intro) and Cloud One’s Patty Duke. Despite these two omissions, it’s quality all the way. Opening disc two is I Wanna By Myself which was the title-track to Don Laka’s 1984 sophomore album, which was released on the Transistor label. By then, the South African jazz pianist, composer and producer was one of the leading lights of the country’s dance music scene. It’s a funky and soulful slice of boogie that’s a tantalising taste of what’s to come on DJ Andy Smith Presents Reach Up Disco Wonderland. 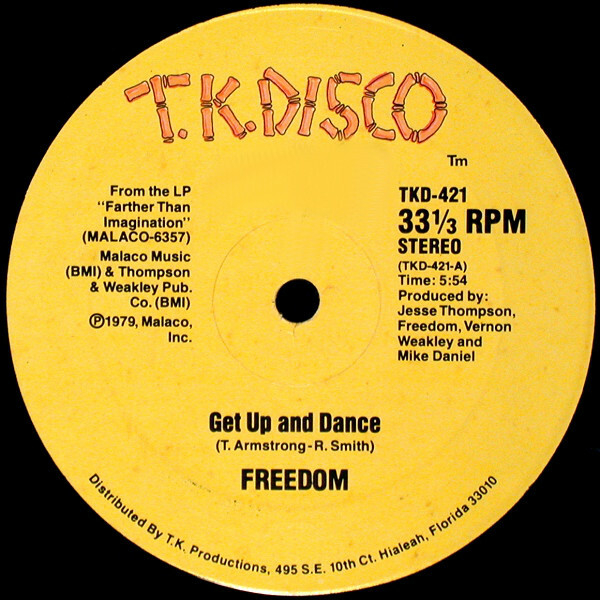 When Freedom released their debut album Farther Than Imagination on Malaco Records, in 1979, it featured Get Up and Dance, which was licensed by T.K. Disco later that year, and became a favourite amongst the hip hop community. With a party atmosphere and a funky, soulful, dance-floor friendly sound, it’s still guaranteed to get a party started. 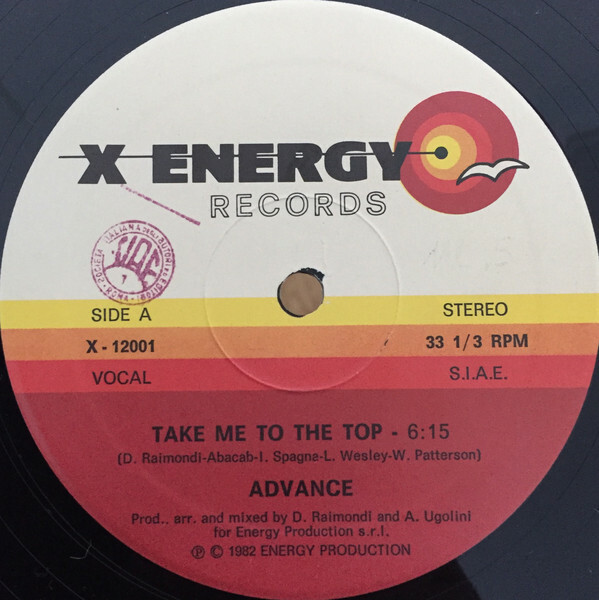 Advance was one of the groups who emerged during the boogie era, and released a trio of singles for the Italian label X-Energy Records. Their finest moment was their debut single Take Me To The Top which was released in Italy in 1982, and in other parts of the world in 1983. Take Me To The Top became a favourite among DJs and dancers, and has stood the test of time thirty-four years later. James Albert Ross was born in Trinidad, and as the eighties dawned, formed a partnership with member of the Italo Disco group Kano. The partnership proved fruitful and in 1981, Jimmy Ross signed to Full Time Records and released the single First True Love Affair. It lent its name to Jimmy Ross’ debut album, which features the six-minute version of First True Love Affair. However, it’s the Larry Levan remix of First True Love that features on the compilation, and is a reminder of Jimmy Ross’ fusion of soul, disco and boogie. By 1976, Tamiko Jones from Kyle, West Virginia, was thirty-one and had made her debut thirteen years earlier with Is It A Sin on Checker? Let It Flow which was released on T.K. 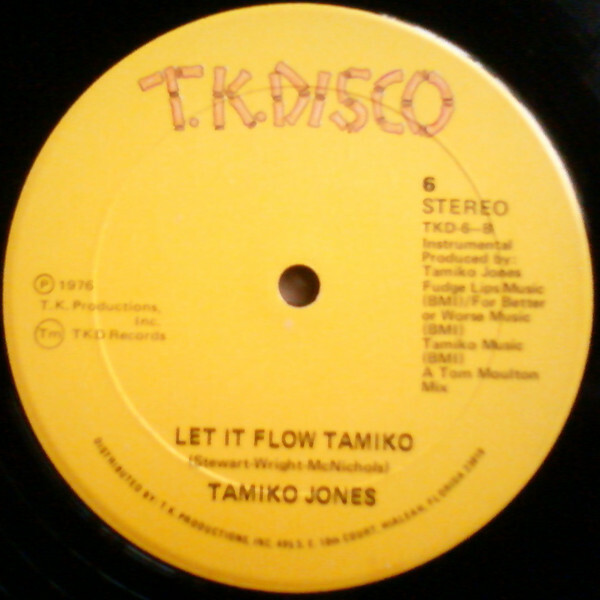 Disco in 1976, saw Tamiko Jones reinvent herself as a disco diva. However, the track doesn’t head all the way to 127 Disco Heaven. Instead, it’s slower than most of the disco tracks released around this time, and also has an arrangement that marries disco and proto-boogie. Despite that it was a favourite of many DJs, and is still is, including DJ Andy Smith whose been known to give the track a spin during his eclectic sets. Originally, Joanne Wilson released her cover of the Tony Wilson composition Got To Have You, in 1980, on Kalinda, a label based in Trinidad and Tobago. It’s now an incredibly rare record that when an original copy becomes available, changes hands for in excess of €500. However, in 2014 the (Whiskey Barons’ Rework of Got To Have You was released by Cultures Of Soul Records. The original version has been transformed into a six-minute epic, which is reminder of a truly talented Trinidadian singer Joanne Wilson who only release a trio of singles. Her finest hour was Got To Have You in 1980. Neddy Smith was born in Jamaica, but emigrated to America and now lives in Norwalk, Connecticut. That was where the singer, songwriter, producer, bassist and bandleader’s career began in 1982 with Give It Up, an incredibly catchy boogie single that was released on the Italian label Delirium Records. Sadly, very little was heard of Neddy Smith until he returned in 2008 with Turnaround, an album of funk and soul. However, many dancers and DJs still remember Neddy Smith for his dancefloor filler Give It Up, that makes a welcome return on DJ Andy Smith Presents Reach Up Disco Wonderland. Jimmy Young from Mount Vernon, New York released his debut single Times Are Tight on Delirium Records in 1982. It was a song he had written, and then arranged, produced and mixed at Bayside Studio. When Times Are Tight was released, it was popular amongst dancers and DJs on both sides of the Atlantic. Especially in Britain, where this fusion of funk, soulful and disco gave man known as “The Real Jimmy Young” a top twenty dance hit. World Premiere’s 1983 single Share The Night is a bit of a slow burner, and it takes just over a minute before it starts to reveal its secrets. 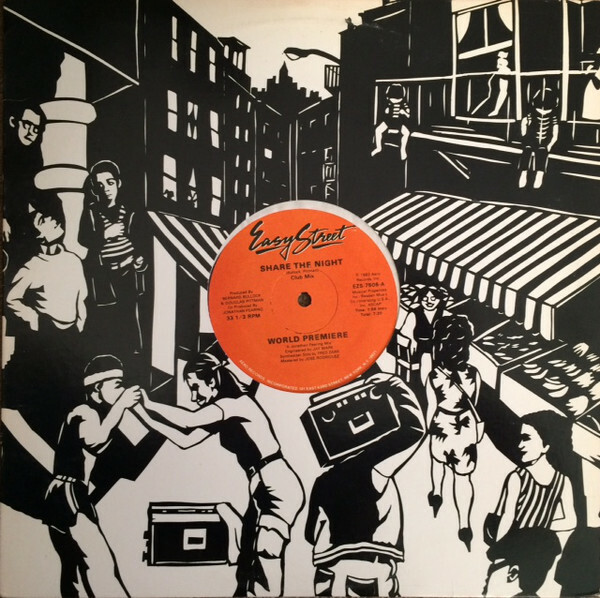 Share The Night was released by Easy Street Records in 1983 and finds World Premiere successfully combining elements of funk, disco and boogie to create a dancefloor filler that’s stood the test of time. The most recent track on the compilation is Sure Thing’s Holding You Tight which was originally released on the Bristol-based Gutterfunk label in 2012. Back then, Sure Thing set out to replicate the sound of 1982, to fill dancefloors in 2012. Two years later, the track was reissued in 2014 by Defected, and it’s that version that features on the compilation. Main Thing was released on Easy Street Records, in 1985, by Shot featuring Kim Marsh. It’s a track that straddles two genres of dance music during this six-minute single. Shot drew inspiration from the disco era, and combined this with boogie, which rose to prominence after disco’s demise on Disco Derby Demolition Day on July the ’12th’ 1979. Since then, DJs had taken to spinning boogie. However, by 1985 some boogie singles incorporated elements of disco, including Main Thing where Kim Marsh is transformed into a disco diva. Closing DJ Andy Smith Presents Reach Up Disco Wonderland is the Disco Dub Band’s For The Love Of Money. It was originally released on the British label Movers in 1976. 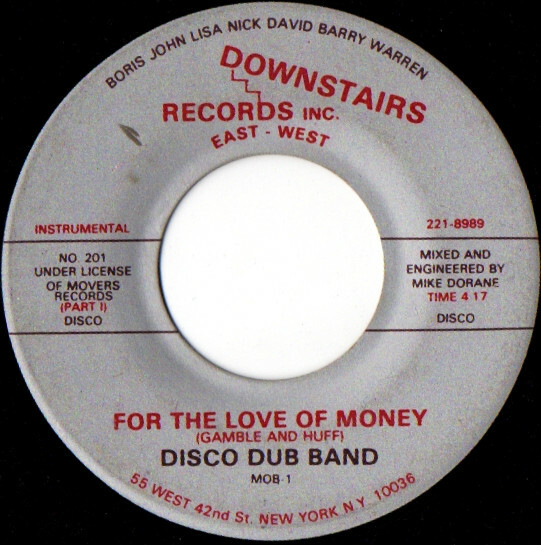 Three years later, Downstairs Records Inc East West released For The Love Of Money in 1979. By then, it was still an innovative single which was über funky, jazz-tinged and thanks to a 4/4 beat dancefloor friendly. Forty-one years after its initial release, For The Love Of Money is still a timeless instrumental. After thirteen tracks that were released on labels from America, Britain, Italy, South Africa and Trinidad and Tobago, disc two of DJ Andy Smith Presents Reach Up Disco Wonderland is over. These labels released this eclectic selection of tracks that were released between 1976 and 2014. However, the majority of the tracks were released between 1976 and 1986 which straddles the disco and the boogie era. 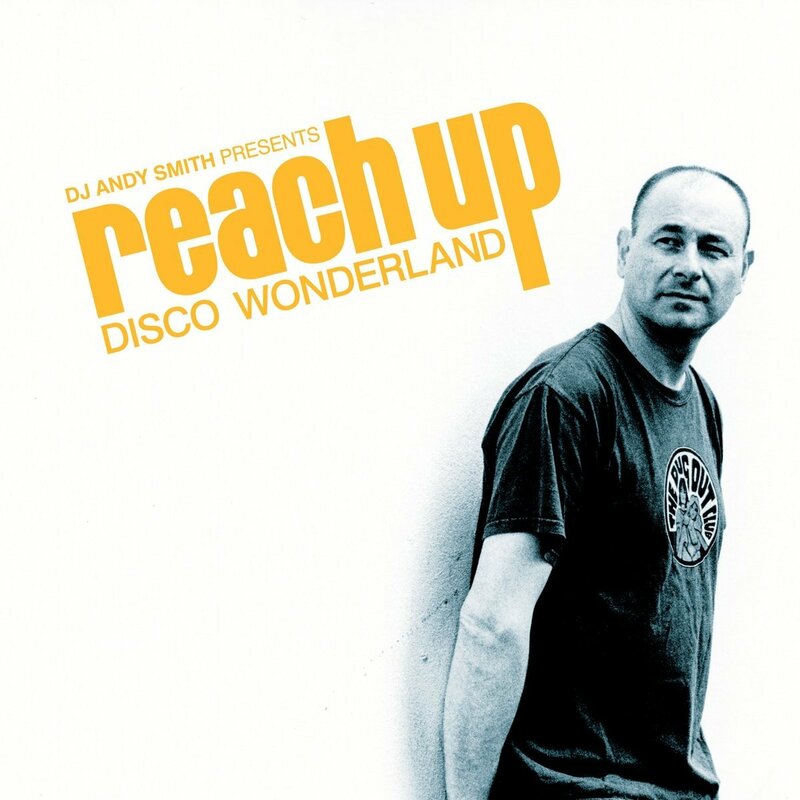 The twelve tracks on DJ Andy Smith Presents Reach Up Disco Wonderland that were released between 1976 and 1986, ranged from disco, boogie or a hybrid of the two genres. Other tracks incorporate elements of funk, soul, jazz and R&B. Indeed, several of the tracks are best described as funky, soulful and dancefloor friendly. They’ve also stood the test of time. Sometimes, that isn’t the case with boogie tracks, and the more commercial, bandwagon-jumping disco tracks. DJ Andy Smith eschews such low rent tracks, and concentrates on quality throughout his forthcoming compilation DJ Andy Smith Presents Reach Up Disco Wonderland which will be released on the ‘17th’ November 2017 by BBE as a two CD set and three LP set by BBE. Whichever version of DJ Andy Smith Presents Reach Up Disco Wonderland music fans buy, it’s a compilation that’s guaranteed to get any party started. ← THE STORY OF TOM SCOTT’S SHORT-LIVED JAZZ SUPERGROUP L.A. EXPRESS.